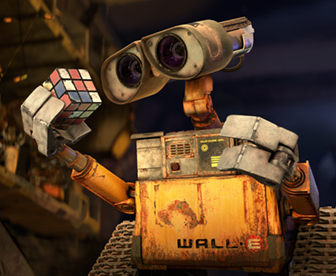 “WALL-E” isn’t just an animated feature; it’s a great motion picture by any measure, and has already been hailed as such — by critics who’ve called it a masterpiece (I’m one of them), by audiences who watch it in a state of enthrallment (which is one notch up from enchantment). In keeping with its singular distinction, Pixar’s latest gift to movie lovers should be a candidate for the most prestigious award, Best Picture, when Oscar time rolls around. I’ll be keeping my fingers crossed, but you already knew that….